For example, users will be able to change the intensity of the vibration created by the watch’s haptic feedback motor. The motor vibrates when the watch receives a text message, phone call and other notifications. The intensity of the default vibration is being decreased as well. The Time’s Android app is also getting updated. More support is being added for Spotify, Pandora and other music services. The Time will better handle how it displays track metadata, meaning the watch will more reliably show the name of a song that’s playing on a paired smartphone. 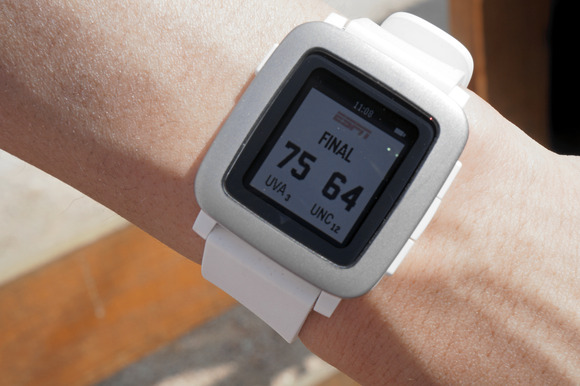 Pebble said it’s working on getting the latest OS to work on the original Pebble and Pebble Steel, calling the task “a leading priority.” The update should happen later this year, Pebble said in a blog post, but cautioned that it can’t offer a date for when the software will be ready.